Social content platform are a dominant force in the lives of kids, according to a TotallyAwesome research* over 88% of kids in Australia claim to be using social media platforms such as YouTube, Facebook or PopJam. Kids love social media, taking selfies, creating their own posts, videos, chatting with friends and getting lots of followers. It is not always easy and kids and parents do not always know where to start despite all their best intentions, so that’s where we come in. The Squadstar Academy is here to make it happen and help kids on their way to superstardom. This is the place for kids to come to develop their creative and performance skills (regardless of what kids love to do, they just have to love it!). 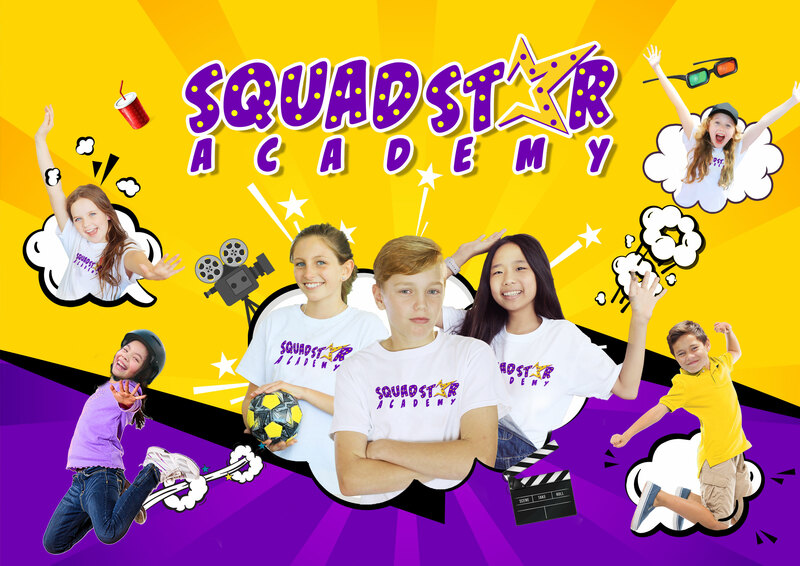 Juggling, dancing, acting, singing, surfing, riding a unicycle, loving to backflip on trampoline, having the world’s best recycling tips or do the best car karaoke – whatever it is kids do, they can show the Squadstar Academy. TotallyAwesome has started the Squadstar Academy to help kids develop talents and also keep them safe online. Selected participants, called the #Squadstars, are trained and educated on what it means to be a kid-safe and brand-safe influencer: the Squadstar Academy is fully designed to empower kids as a content creator and help them to better understand the digital safety and privacy requirements of the internet and the under 16’s audience. Successful #Squadstars will have the chance to get certified “SafeFam” and become fully fledged members of the TotallyAwesome Squad, star on our YouTube channel, website and work with fun brands, creating awesome challenges, interviews and heaps more. “We started the Squadstar Academy because we believe in kids and their power to influence and create.” Says Jeremy Carr, Country Director and Head of Media Innovations at TotallyAwesome “Currently there is no program out there that helps train kids on how to be content creators in a way that is kid-safe online. The SafeFam program helps guide kids and families to become certified and also helps develop their creative skills”. How kids can get involved? Participants can go to the TotallyAwesomeSquad website, YouTube or PopJam channels, watch some of the fun TotallyAwesome Squad videos to see what the challenge is: it might be to do a movie review or make up a song. Pick a challenge, make a video, just 60 seconds or less, click the JOIN CHALLENGE button to sign up and participate (parents will receive an email to consent). Along with the TotallyAwesome Squad, the new #Squadstars recruits will inspire others to create, imagine, express and share creative ideas within a social community of kids from all around the world across our network of platforms!